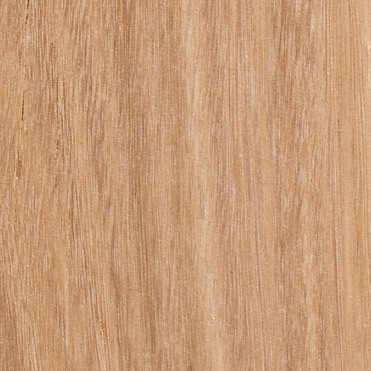 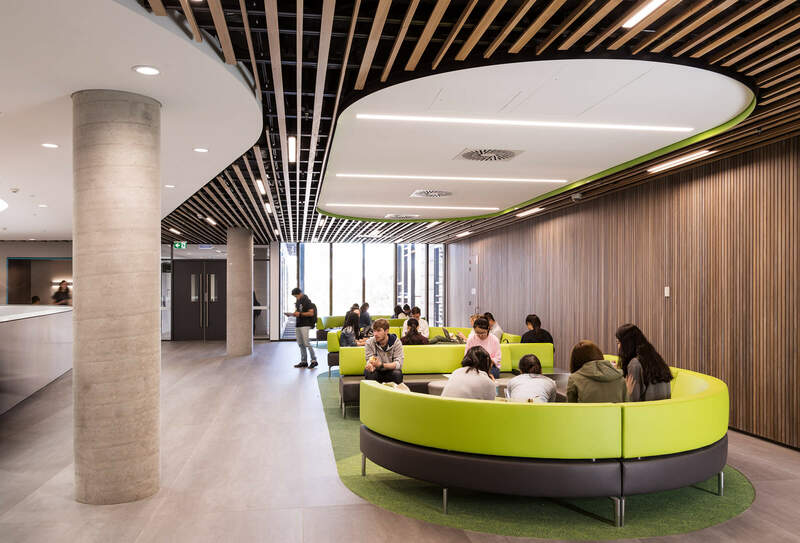 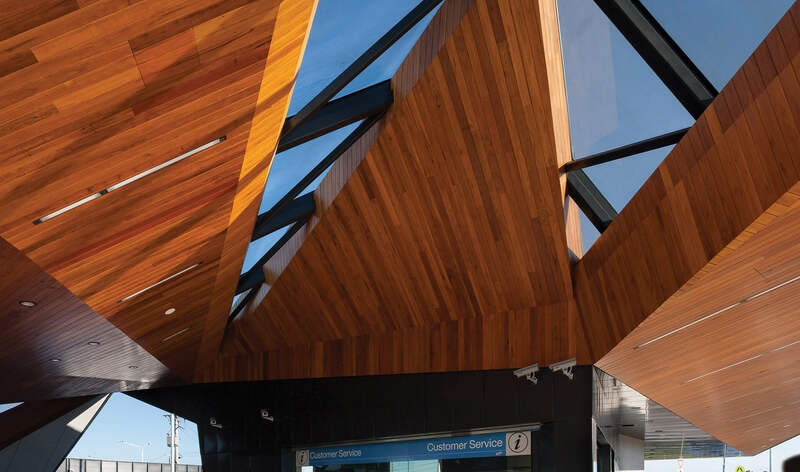 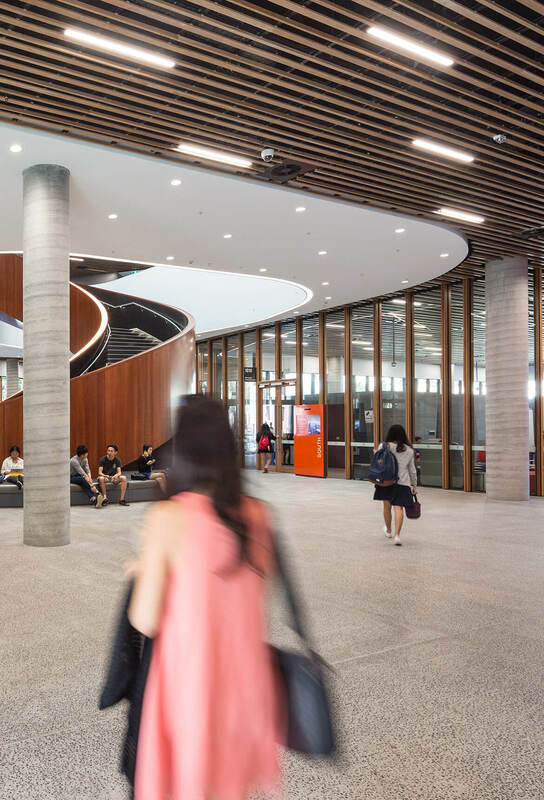 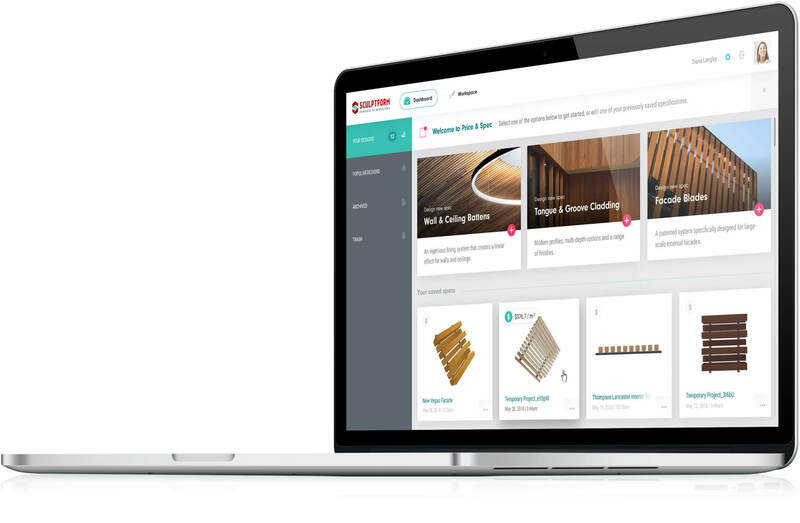 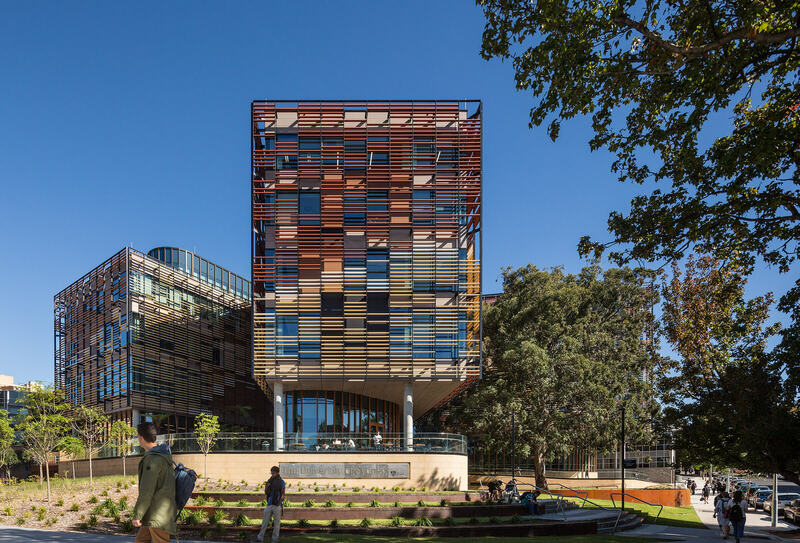 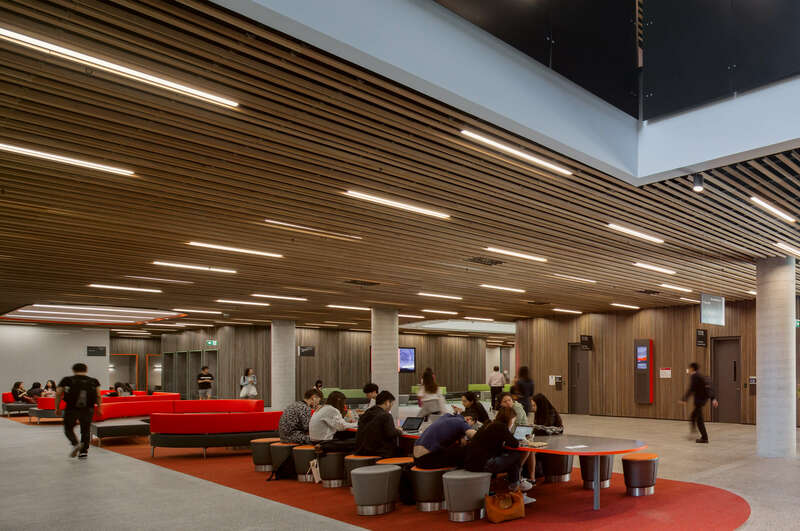 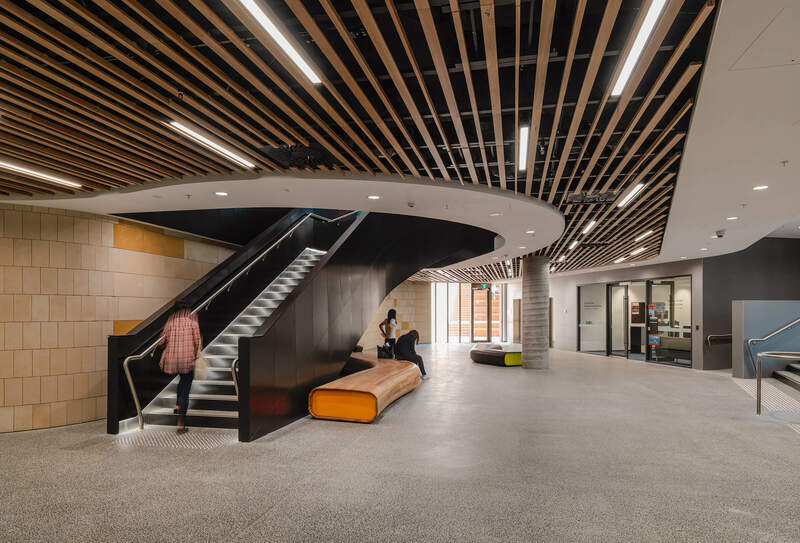 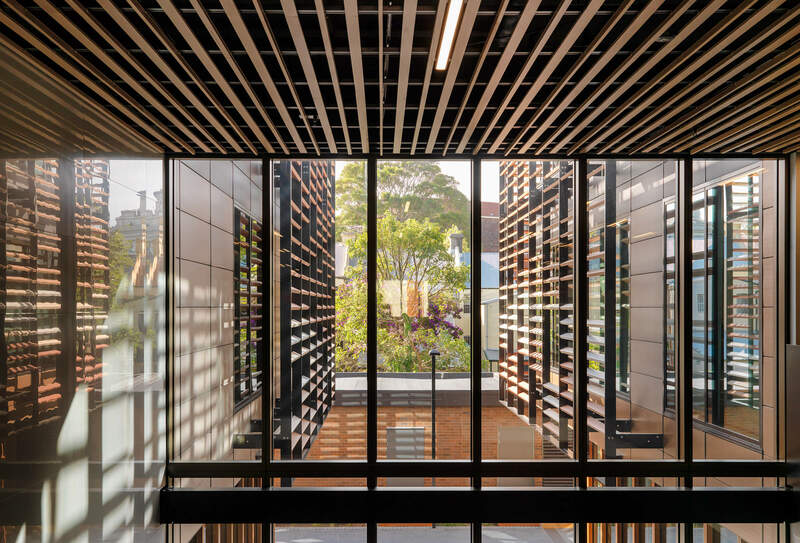 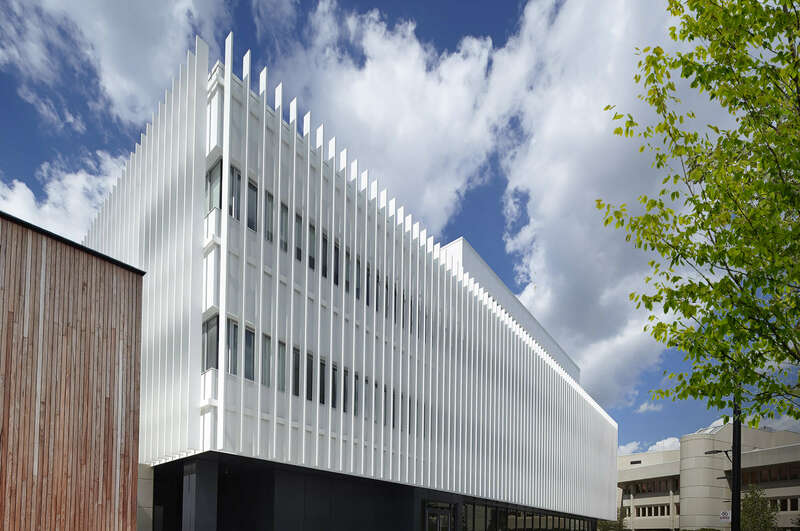 The Abercrombie Building at the University of Sydney Business School uses Click-on Battens to create a feature ceiling which creates a premium aesthetic without a premium budget. 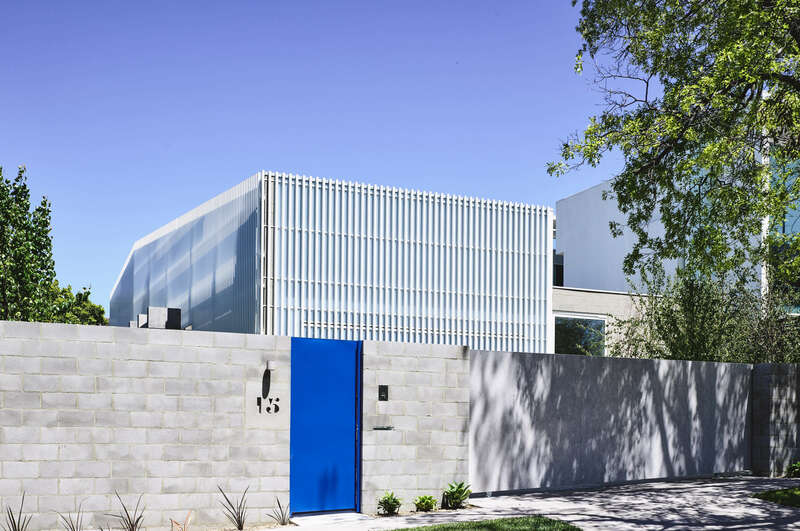 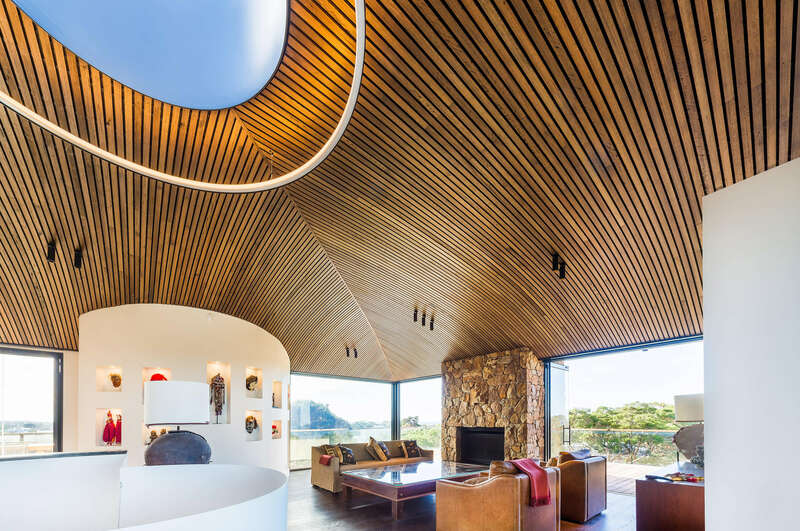 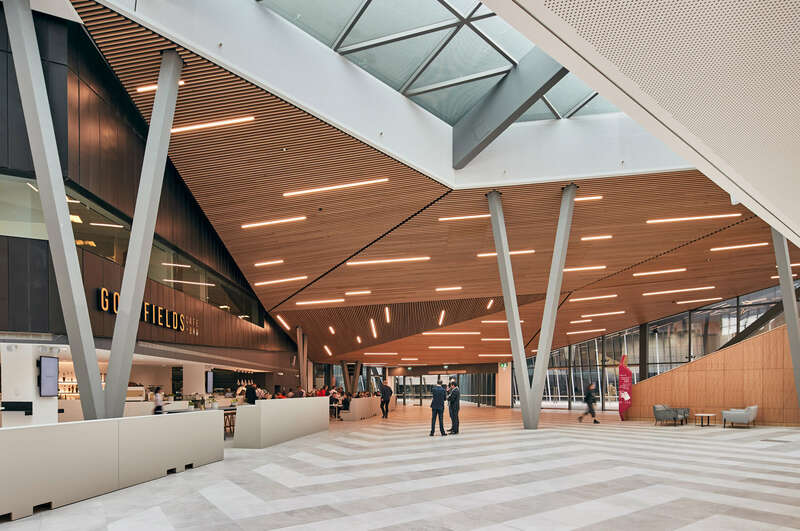 Designed by Woods Bagot and Kann Finch Group, the Abercrombie building takes advantage of the flexibility Click-on Battens allow the designer by creating a cost-effective feature ceiling. 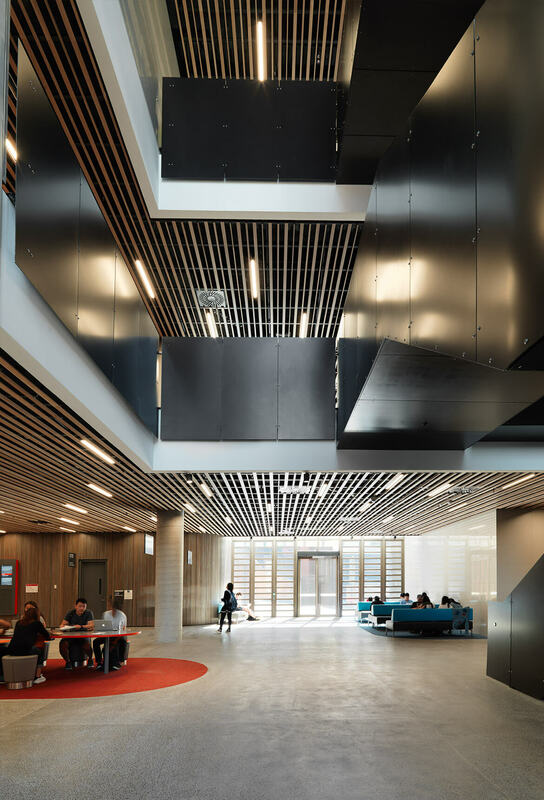 A creative sequence of battens is used with large spacing, creating linear textures over a huge ceiling area.